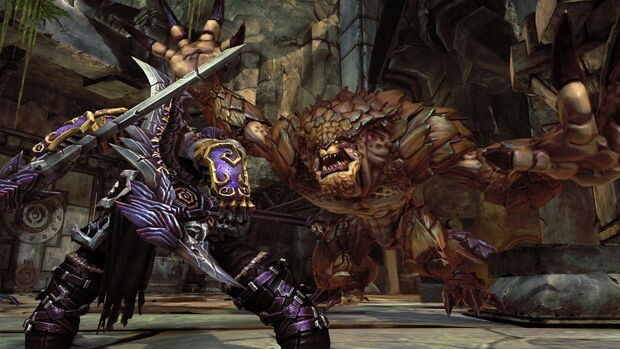 Darksiders II PS3 Review. In the end, DARKSIDERS II may not be a perfect game but it's a fun game that works on almost all levels. 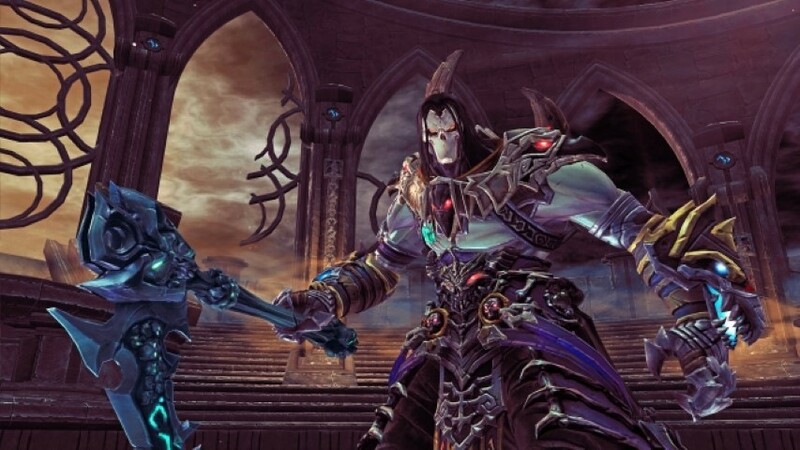 The "sequel" to DARKSIDERS (2010) is finally here and unlike the first incarnation where gamers controlled War, one of the four horsemen of the Apocalypse, this time it's DEATH. 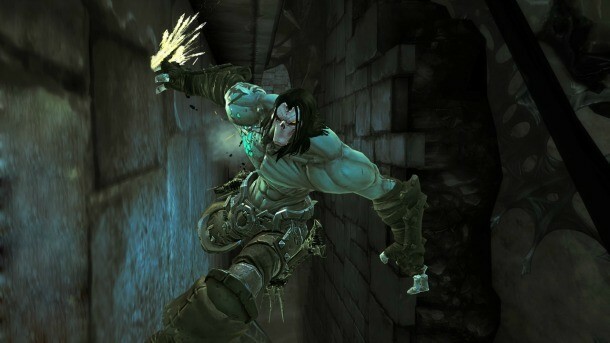 Although a sequel, the storyline of DARKSIDERS II runs in parallel with the original story with Death not only attempting to redeem his brother who was blamed for starting the Apocalypse but the very fate of mankind is also in peril. In the previous game, War was blamed by the Charred Council for the Apocalypse, however as you investigated, you soon discovered that you were just a puppet and an evil almost as old as eternity itself was the cause. For the player, it's time to pick up your scythes and seek the mythical Tree of Life that will fix the very fabric of reality. This is also the world of the Makers but unfortunately their world has been touched by the Corruption, so there are plenty of side-quests to be found along the way. The game at times is reminiscent of Sony's GOD OF WAR series or Shadow of the Colossus with its powerful protagonist with similar over the top manoeuvres. 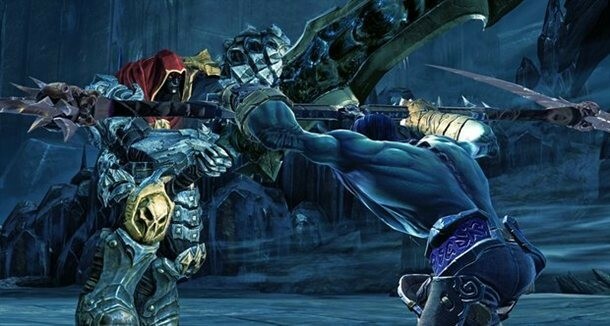 However unlike GOD OF WAR, DARKSIDERS II contains a strong RPG element with some great combat and weaponry to be discovered. 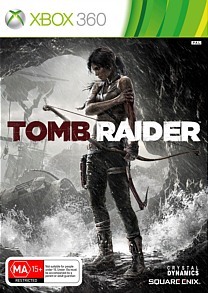 For newcomers to the series, the game doesn't thrown the player into the deep end straight away as the first few levels serves as a tutorial. Even as you do progress, the game does give you useful tips along the way to assist in levelling up or with battles. Fortunately DARKSIDERS II features a great save system which almost allows you to save anywhere and the save points are quite generous which definitely reduces controller rage. As opposed to the original game, Death feels considerably different than War and is a much more faster and spritely character. Although the control mechanics are similar, Death has different tricks up his sleeves and also has the ability to call on his warhorse which adds to the gameplay. Navigating the environment is done through the analog sticks as you explore the environment, run across walls and climb up pillars to reach your destination. Even though there is an amount of grinding in DARKSIDERS II, the world has been carefully crafted in a way that doesn't become repetitive or boring. Rather it creates this living breathing universe with some stylised graphics as you explore the world and level up Death to fight the final boss. 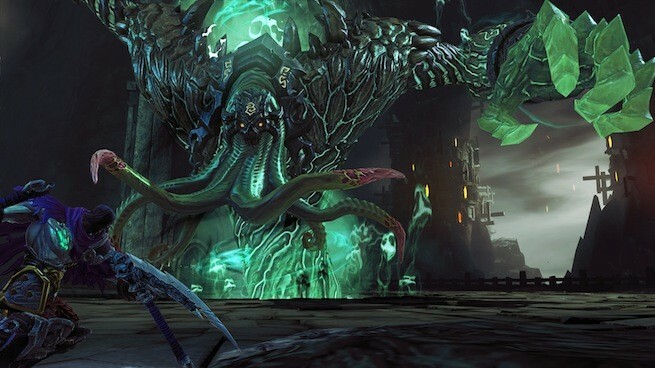 Combat is the key to DARKSIDERS II which initially starts as a few basic attacks but as you progress, Death can chain various combos together as you slice and dice with your deadly scythes. Death even has access to secondary weapons that can be found through the gaming world such as war hammers, guns and spells. Secondary weapons also have a charge attack which definitely comes in handy. 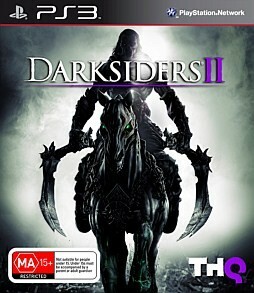 An element of RPG is used with DARKSIDERS II to upgrade your abilities with two skill trees available for upgrading, Harbinger or Necromancer. Harbinger is your classic warrior abilities, whereas Necromancer focuses on mage abilities. You can even mix and match these abilities. Without spoiling the game too much, there is this brilliant fight scene between Death and his brother War that could be considered nothing more than epic. I loved the way how War purposely walked towards his brother Death like the ultimate badass before he unleashed his giant sword. It's the subtleties in the game that make it such an enjoyable title, not to mention the awesome ending. Enemies in the game range from standard grunts to powerful snow giants and demons which once again are reminiscent of the God of War series or Shadow of the Colossus, especially when you need to engage in some quick-time event. Nonetheless, it works perfectly in DARKSIDERS II and keeps things fresh, unique and challenging. Apart from levelling up and upgrading your abilities, death has some powerful tricks up his sleeves like the ability to transform into a giant reaper to smite his enemies or even better, unleash a pack of murderous crows against them. That's another way at how DARKSIDERS II rewards the player with these realistic achievements and bonuses for the player. Another highlight of the game is the amount of loot available to the player which can be found everywhere in the game from amour, weapons and other archaic items. 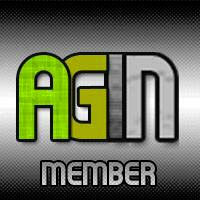 The currency of the game is gold coins which allows you to train and purchase additional goodies for Death. For those that like to use their brain, DARKSIDERS II is not all about combat as there's plenty of exploration and puzzles to be found along the way as you explore dungeons and other wondrous places. Graphically, DARKSIDERS II is a decent looking title on the PlayStation 3 that looks like a comic book with its stylised artwork. Some of the world's that you encounter can be quite grim and dark, whereas, others appear quite opposite such as the lush and forested world of the Tree of Life. Characters are animated well, especially the gigantic bosses that you must fight which creates this truly epic battle. Lighting, textures and special effects work well to create this living breathing environment, although the frame rate does drop at times. The musical score of DARKSIDERS II is quite dramatic and suits the grim storyline well. Voice acting is quite professional with just a thin level of cheese to help break the seriousness nature of the characters and Death has some great one-liners. In the end, DARKSIDERS II may not be a perfect game but it's a fun game that works on almost all levels. The only issues that I had with the game is that at times, the frame rate drops and there were a few places where I got stuck and the game needed a restart. Fortunately as mentioned, the save points are quite plenty. Nonetheless, the story, gameplay and general atmosphere of the game made this one of the most fun games I've played in months. When you can't stop thinking about the game during the day, the developers have definitely done something right and hey... if it keeps you busy for around 25 hours, then it's well money spent!